Violence against children up by 11%: As 2019 polls approach, are we listening to them? In one of the children's group meetings held in a village in Rajasthan in August 2018, the sarpanch was perplexed: Would children be able to speak about their rights? The meeting was organized a week before the Gram Sabha was to be held, so that children could present their charter of demands to the panchayat. Ranjana (name changed), 14, in Toor Ka Bas panchayat spoke so well that it amazed everyone. Even before the facilitator spoke about the UN's Sustainable Development Goals (SDGs), she virtually listed all the SDGs which are important from the children’s perspective. The gathering not only remained spell bound, it realized that children are aware of the surroundings and the milieu, and also the basic requirements for improving the quality of life. Children’s participation in governance and development processes has evolved over the last decade, but it has been unable to generate impact on the collective mindset of social and political institutions and the individuals who hold responsible positions. Children’s rights require a different approach; it would require respect to children and young people and their capacities by involving them as active participants in finding solutions to issues affecting them. However, children’s right to participate continues to be difficult to realise in practice. Achieving effective children's and young people’s participation is indeed challenging. Most initiatives and interventions have so far been limited to child rights organizations and activists. Election time brings in a lot of opportunity when it comes to increasing the space for dialogue with potential decision makers across party lines. The 2019 general elections have been the most awaited ones in India. However, whether issues concerning children, especially increasing violence against children, would be made an issue is the moot question. There is an urgent need to make the decision makers accountable towards protecting children. Globally, it is estimated that up to 1 billion children aged 2–17 years have experienced physical, sexual, or emotional violence or neglect in the past year. Deprivation and access to basic services is the worst form of violence that children face. Johan Galtung of the International Peace Research Institute, Oslo, described (1969) it structural violence. It refers to a form of violence wherein social structure or institution may harm children, preventing them from meeting their basic needs. Violence against children in India has increased by a sharp 11 per cent between 2015 and 2016, as freshly-released National Crime Records Bureau (NCRB) data suggest. Going by absolute numbers, it’s an increase of 12,786 reported crimes against children across the country. The total number of crimes against children reported in 2016 was 1,06,958, while 94,172 crimes were recorded in 2015. Experiencing violence in childhood impacts lifelong health and well-being. The National Policy for Children (NPAC) 2013 mentions about safe and happy childhood, and also prioritizes protection of children. Target 16.2 of the SDP talks of “ending abuse, exploitation, trafficking and all forms of violence against, and torture of, children”. Yet, violence continue to haunt children’s lives in India, as also around the globe, regardless of their economic and social circumstances, culture, religion or ethnicity, with both immediate and long-term consequences. Children who have been severely abused or neglected are often hampered in their development, experience learning difficulties and perform poorly at school. Besides violence, basic, access, closure of schools, lack of teachers, and failure in examinations impact children immensely. Drop-out of children has increased, especially at the secondary level. Children who grow up in a violent household or community tend to internalize that behaviour as a way of resolving disputes, repeating the pattern of violence and abuse against their own spouses and children. Beyond the tragic effects on individuals and families, violence against children carries serious economic and social costs in both lost potential and reduced productivity. Evidences show that violence against children can be prevented. One of the ways is through children’s participation. Children know better of the lives they live. Their live experiences play a critical role in combating violence against them. Experts recommend open, inclusive and accountable resource mobilization, budget allocation and spending. States must not discriminate against any child in resource mobilization, budgeting and spending. 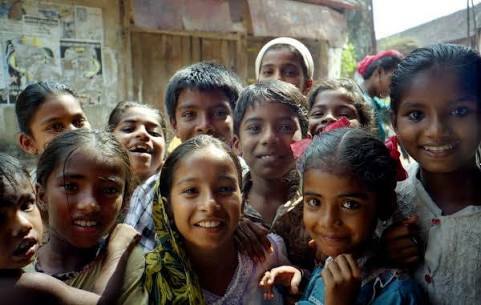 In India, child rights organizations have been represented in several committees, thanks to their extensive child-centred and child-led advocacy over the years. Organizations like Save the Children have been working persistently for bringing children’s voices in the decision making process and governance at all levels. Break legal and administrative barriers which make it difficult for children to set up their own organisations, access information and participate in public campaigning, actions and decision-making.